For 22 years, South Carolina native Brentney Simon and her family thought she was living with a fatal mitochondrial disease. From the time she was born, Brentney has faced a host of medical concerns. At first, her doctors didn’t think she would walk or talk. Brentney proved them wrong. But over the years, she struggled with respiratory difficulties and heart problems. She contracted pneumonia several times and required multiple hospitalizations. Her physicians found a severe curve in her spine. Through it all, Brentney never stopped fighting, living her life as fully as possible, even though participating in activities that most children and teens take for granted was a struggle. 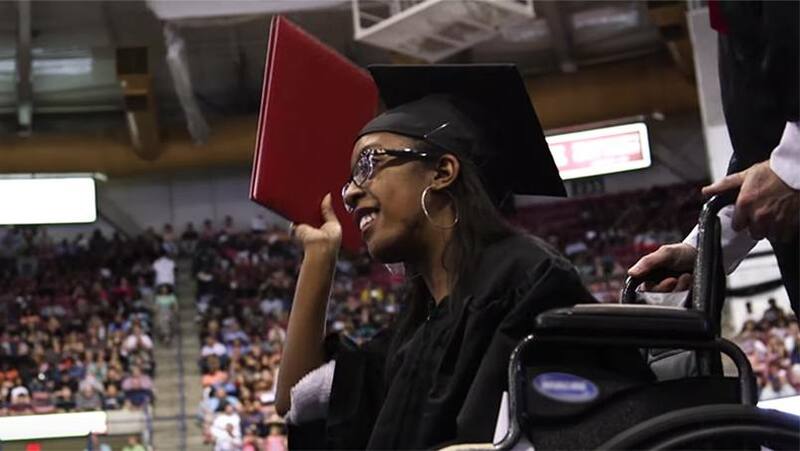 Despite her challenges, Brentney kept up with her schooling and enrolled in college, determined to get a higher education and realize her goals for a career. Recently, Brentney’s health took a turn for the worse, and it was suggested her organs were failing. She refused to give up. Instead, Brentney came to Mayo Clinic’s Florida campus and through and Mayo Clinic Center for Individualized Medicine, underwent whole-exome sequencing in search of a better explanation for her health problems. Through that testing, her Mayo Clinic physicians discovered Brentney has two novel variants in her RYR1 gene. This new diagnosis means there is a very different future in store for Brentney. Contrary to what Brentney was told earlier, her care team does not believe her condition is fatal. Today, because her physicians now know the cause of her symptoms and better understand how to manage them, Brentney has hope for a long, productive life ahead and confidence that she can reach the goals she wants to achieve — including graduating from college. Learn more about Brentney’s story and how the Mayo Model of Care changed her future. Learn more about mitochondrial disease. Explore the Mayo Clinic Center for Individualized Medicine.